It is difficult to define 2012. A year of extremes, for us at Puppetring it has been a prodigious year of new experiences and work. Our triple magazine saw the light on 1st March, and from then on its level of activity could be defined as a rhetorical storm, with 450 articles published in its three languages (Catalan, Spanish and English) and a few more in Portuguese and French. It is too early to weigh up the results, which will be better done on reaching our first anniversary, but we wish to express our modest satisfaction for the work so far: the diabolical rhythm of new entries has been frenetic and tenacious. And though quantity tends to be a poor companion to quality, the editorial team at Puppetring and our collaborators believe that the balance between short-term texts (chronicles, news items and current information) – even though there were a number of important things we were unable to cover -, and longer range pieces (articles, interviews, analysis of shows, in-depth articles, research and opinion) – which are the majority -, sustained a pretty good level. Image from Trastam, spanish company from Barcelona. Photo by Jesús Atienza. As far as data on the development of the magazine goes, of the three sites Putxinel·li and Titeresante have been the most visited (in almost equal numbers), while Puppetring advances more slowly, (though it accounts for nearly a hundred articles). There has been a medium of 580 visits per day to the three sites overall, (17.980 visits a month). The number of visits to individual pages has taken off with a daily medium of 5.346, (165.726 pages a month). These are excellent and encouraging numbers after only ten months on line. Let’s leave Puppetring now, and take a look at puppets in general. The year 2012 can certainly be considered a successful international year for puppetry considering that in May the UNIMA Congress and world Festival took place in Chengdu: a high point in recent puppet history since it opened the eyes of the world to the new reality of puppetry in China which is such an enormous country. The reality is quite overwhelming, with its own problems but with a potential in human, artistic and creative terms that is highly encouraging and far reaching. 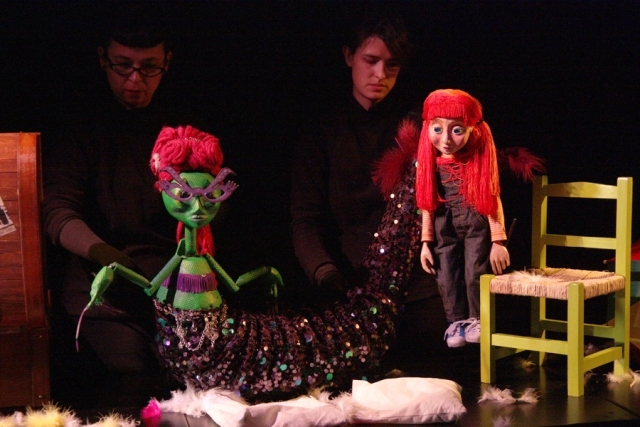 For puppeteers from the West it provides a challenge on a grand scale, and a golden opportunity to be in communication and to form relationships with colleagues in the Orient. 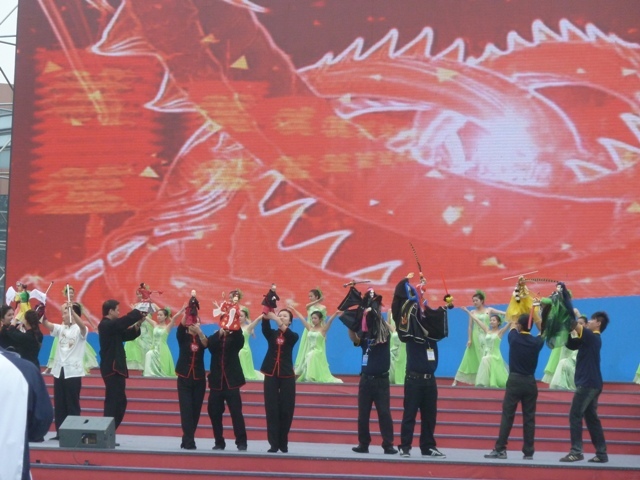 Manipulators at the Opening Ceremony in Chengdu, China. LThe euphoria in the East can be added to that of other emerging countries, such as Brazil, Mexico, Peru, India and South Africa. The feverish puppeteering activity in the majority of Spanish American countries is surprising, (see this editorial in Titeresante), auguring a splendid future in this region of the world. Europe, on the other hand, and especially the countries in the south, is suffering a period of sluggishness not to say of major catastrophe, with its societies subject to an unending strangling of means and resources. What Argentinian and Brazilian puppeteers lived in the recent past is now the experience of Spanish, Portuguese, Italian and Greek colleagues. 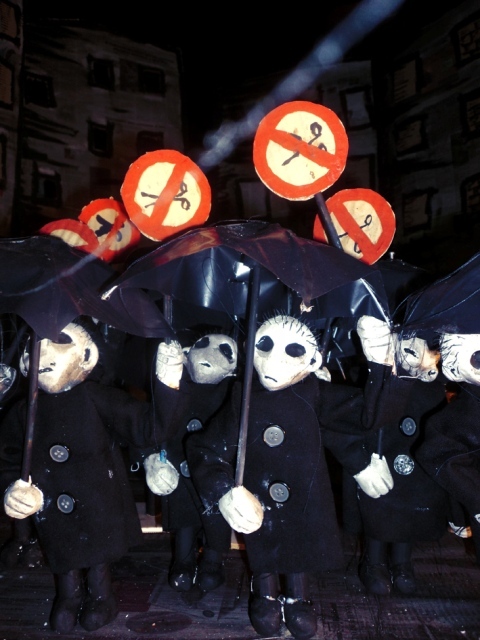 But, as was the case in South America, necessity is the mother of invention and – in the face of difficulties – many groups, festivals and puppeteers are maturing as they invent new ways to survive. They mainly engage in two areas of work: some specialise in the local, seeking new ways to reach the public and share expenses and infrastructures; others open up to the wide world, looking on the outside for what cannot be found at home. The best, without doubt, is to combine the two options. The paradox is that, at a time low on resources, the number of groups is growing, with a blossoming of new vocations never seen before. Young groups fling themselves onto the stage, surprising the audience. It is something that tends to occur in periods of crisis, which are inevitably periods of change. Change is visible everywhere and seems to be the sign of the times. 2013, therefore, will live up to the expectations of numerologists who consider 13 as a symbol of transformation. In the Tarot, it is the card of Mars whose significance is, precisely, change and transformation. The world’s complexity, however, speaks of more profound changes which specialists refer to as systemic. Tectonic plates of human behaviour, in movement and collision. 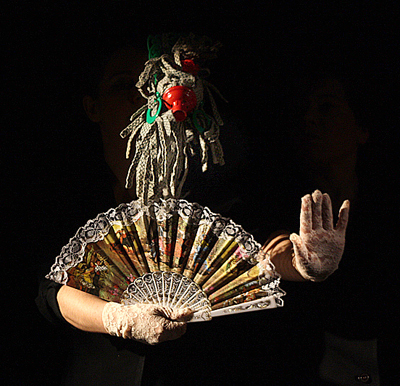 The role of puppeteers is to fulfil our mission: to explain that which is visible of these collisions and changes, using the silent language of articulate images. Surrounded by objects as we have never been before, they are the letters of an alphabet with which multiple meanings can be composed. The duplication of reality with our object metaphors, to which we give life and soul through animation. Perhaps, in this way, we will be able to give form to the old which is on its way out, and to the new which is incoming. From the humility of one of the world’s oldest professions, our actions can be as important today as those of the vanguard of cutting-edge sciences. To give form to Time, while having the sense that we are carried by it. Having reached this point, it just remains for us to thank our readers for their loyalty, our many collaborators for their good will and generosity in submitting material for these pages, and to the Associate Members and Sponsors for their great support and help in driving forward what is their project too. To you all, a Very Happy and Prosperous 2013!